Freda Lea Isaacks, 74, passed away on Thursday, February 14, 2019 at Mesilla Valley Hospice in Las Cruces, NM. 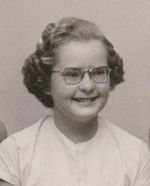 Freda was born April 12, 1944 in Albuquerque, NM to Clois and Freida Teston of Truth or Consequences, NM. Freda and her Brothers Milton and Cliff Teston, grew up in Truth or Consequences, NM. Spending most of her summers at Elephant Butte lake water skiing. She had a zest for life, climbing to the top of Turtleback Mountain as a teenager, knowing that if her father and mother found out her summer was over. She attended Hot Springs High School where she met her husband Mike Reid. They married shortly after and moved to California, where her Sons Michael and Chris Reid were born. They moved a few years later to Farmington, NM and Shawn and Shannon Nicole Reid were born. They divorced and Freda eventually settled in Las Cruces, NM to raise her 4 children working at Sears and Roebuck for many years. She later met Joe Isaacks who passed several years later. Freda worked hard and was the type of mother that did all she could for her children. Even cashing in her retirement to take Shawn and Shannon to Disney Land. She always gave to her children and never asked for anything in return. Freda always spoke of how proud she was of her children. Especially her dachshund’s that replaced her grown children while they went off to make their own lives. She is survived by her brother Cliff Teston and spouse Sally Teston of Denver Colorado and Sons Michael James Reid of Las Cruces, Christopher Lee Reid and Spouse Shawna Reid of Aztec NM, Shawn Reid and spouse Charlotte Reid of Las Cruces NM, Shannon Nicole Hopkins and spouse Craig Hopkins of Bayfield Colorado. Grandchildren: Jacob Reid and Jenna of Las Cruces, NM, Chantal Villescas of Las Cruces, NM, Cori Reid of Longview, TX, Molly Reid and fiancé William Melius of Pasadena, California. Mitchell Reid and Spouse Kelsey Reid of Aztec, NM. Bradley Martin and Spouse Meriel Martin of Bayfield, Colorado. Bonnie Metoyer and spouse Gabe Metoyer of Farmington, NM. Chelsie Reid of Atlanta, Georgia. McKinzie Reid and fiancé Justice Francisco and Sara Reid of Durango, Colorado. 7 Great Grandchildren: Jesse and Ellie Winkel, Samantha and Levi Reid, Madalyn Metoyer, Paisley and Hudson Reid, with 3 more babies on the way, Many Nephews and nieces. She is preceded in death by her parents Freida and Clois Teston, brother Milton Teston, Joe Isaacks, and Mike Reid. Visitation will be held on Tuesday, February 19, 2019 beginning at 10am, followed by a memorial service at 11 am at Getz Funeral Home 1410 E. Bowman Ave. Las Cruces, NM 88001 with Pastor Frank Zamora Officiating. Graveside services will follow at Vista Memory Gardens Cemetery in Truth or Consequences, NM. Pallbearer’s are Sons Chris Reid, Shawn Reid. Grandsons Jacob Reid, Mitchell Reid, Brad Martin. Son in law Craig Hopkins. Honorary Pallbearer Michael James Reid. To send flowers to the family of Freda L Isaacks (Teston), please visit our Heartfelt Sympathies Store.